The distribution of satellite galaxies orbiting a computer-simulated galaxy, as predicted by the Lambda-cold-dark-matter cosmological model. 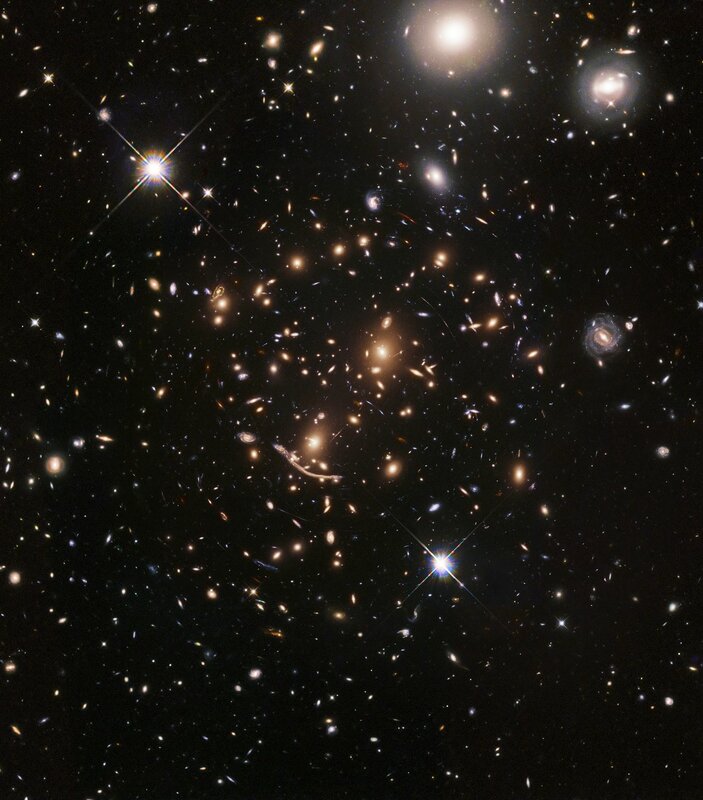 The blue circles surround the brighter satellites, the white circles the ultrafaint satellites (so faint that they are not readily visible in the image).Credit: Institute for Computational Cosmology, Durham University, UK/ Heidelberg Institute for Theoretical Studies, Germany / Max Planck Institute for Astrophysics, Germany. 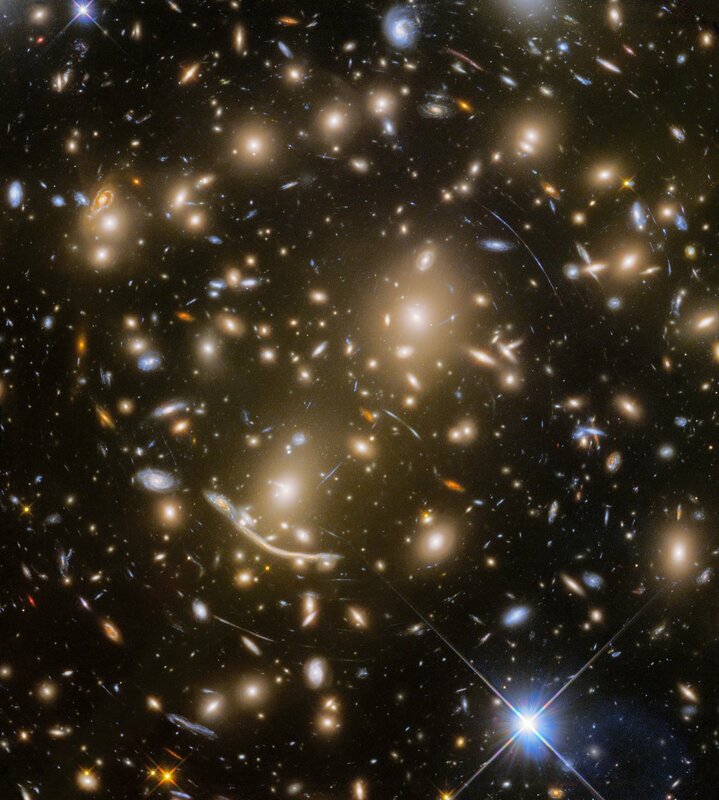 This cooling phase, known as the “cosmic dark ages”, lasted about 100 million years. 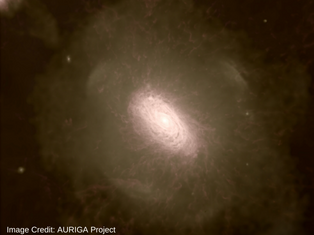 Eventually, the gas that had cooled inside the halos became unstable and began to form stars – these objects are the very first galaxies ever to have formed.